This colourful, chunky and very unique book is a real delight. 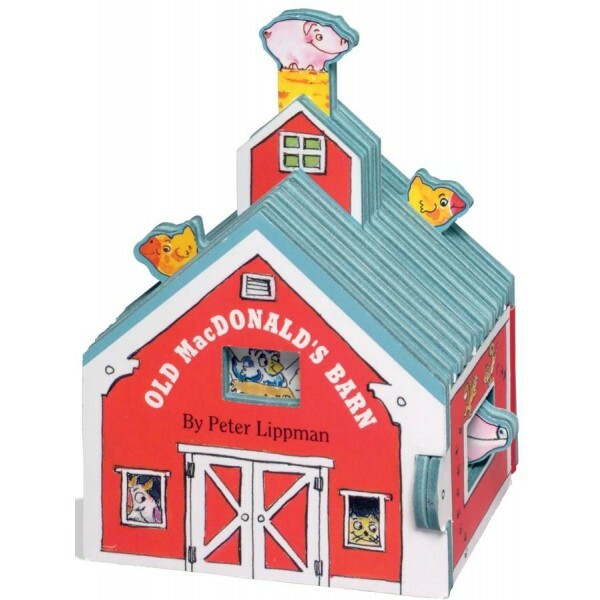 Just open up the barn by undoing the latch on the side and the story unfolds in front of you. Smart, inventive and highly interactive, it's a fantastic new version of the classic children's song. Like all of Peter Lippman's bestselling Mini-House series, it's a charming book with loads of play value. The book is really fun to read - you can even peer inside the windows before opening it up! It's a really unusual and engaging product, so it will make for a lovely little gift.